We’ve always known that Fabio Makisig’s drive to win the Championship was money, but in recent months, it has come to light that this attitude was more than just pure greed. Inflation is in a decade-long high, prices are up, and the Makisig family’s palengke is barely profitable. It’s up to Fabio to be the Manila-bound hope of the family, but as it turns out, making money in Manila is just as difficult. Fabio works hard – “araw-araw ako nagte-training,” he says, and it shows. He has never lost a singles match, and he claims to not even work at 100%. But alas, the inherited American dream is broken, and hard work does not equal good pay. So instead, Fabio adjusts to the harsh realities of life. He will do anything to make money and help his family, even if it means mugging people or going off-script to get into the mind of Robin Sane. Robin Sane has been the quintessential face of the MWF. We really didn’t know much about his motivations before, and we didn’t have to. 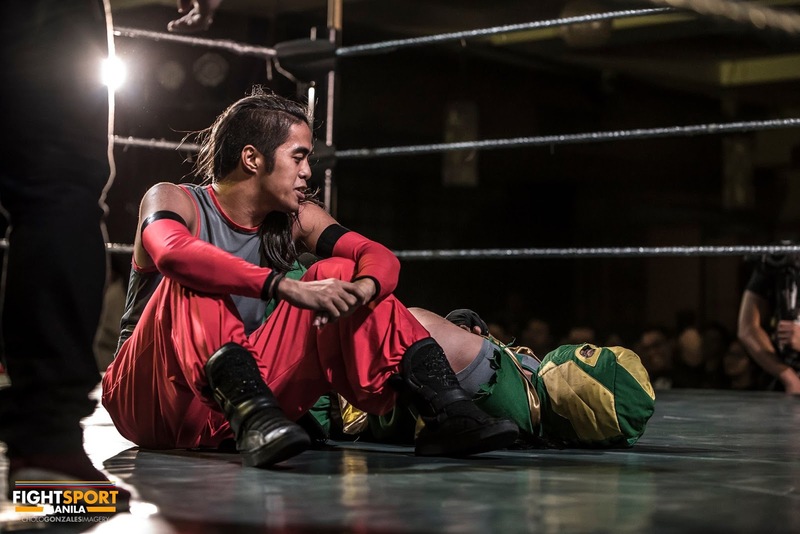 He valued his friendship with Mr. Lucha and Ninja Ryujin. He works hard to please the fans. He is always high energy; “tara, let’s go” is more than just a catchphrase, it’s how he approaches the challenges that life throws at him. It was this same mindset that was at work when he challenged Fabio Makisig to stop slacking off. In his quest to be the best, he also wants to defeat their opponents at their best. He doesn't just want to beat Fabio - he wants to beat the best version of Fabio. So in promoting the championship match, Sane challenged Makisig to fight him at one hundred percent. Why did this challenge anger Fabio? He was probably already on edge to begin with. In either case, Fabio responded with a surprise shoot promo against Robin. In it, Fabio aired the personal dirty laundry of the man behind Robin Sane, causing him to unravel. And who wouldn't, when the fact that he cannot provide for his family on his own is revealed outside of his own terms - when people assume that he is a failure as a man? But who are we, in turn, to say if Robin Sane has been a proper man or not? And for that matter, who is Fabio? Can he really judge someone who has been shafted by fate, who has made questionable decisions, who continues to work hard anyway for the sake of his family? In short, is Fabio Makisig capable of judging himself? Will Robin Sane, in turn, be able to forgive himself and get his eyes back on the ball? Mr. Lucha’s anger is unceasing, but Jake De Leon will not be put down. Now that they’re finally getting a 1-on-1 bout, whose passion will waver, and who will come out on top? What is the Liwanag cult up to? We’ve heard almost nothing about them since Todos Los Wrestling, when they seemed to be behind the menudo girl’s kidnapping and have recruited a new member with TV star JC Santos. (Or someone played by TV star JC Santos.) Will we know more when Gigz Stryker stars in Sagot Kita 6: D' Final Showdown? Rex Lawin seems to be an easy favorite to win the four way dance for the #1 contender spot - given his existing issues with Robin Sane and Fabio Makisig, it’s easy to see how he can pursue either of them next year. But what if he interferes in the championship match, anyway? Any of the other three standouts would make for an interesting first challenge for the inaugural champ. Despite finding a much better partner in Martivo, Ashura continues to lash out at anyone and everyone. She attacked Ryu and Ken Gigz and RG post-match back in MWF 5, prompting chants of "chill ka lang beshie." Next, she gave Martivo a cute teddy bear for Christmas... But it had a knife on its chest. Anuna, besh? What will the MWF Championship belt look like? How will MWF deal with its home crowd being focused on tomorrow's UAAP finals against Ateneo?